Looking for something to keep your children active and engaged during the school holidays? Our courses operate during the school holidays throughout the year in Ilkley, Leeds, Liverpool, Crewe and throughout Greater Manchester for young people aged 4 to 11 year olds. Our school holiday courses run between 9.30am and 3.30pm. We also offer wraparound care, meaning that both you and your child can enjoy the benefits of school holiday activities run in a safe and fun environment between 8.00am and 6.00pm every day. Please note children must have started reception class at school in order to attend one of our courses. Children can develop their football skills and techniques and participate in tournaments, matches, drills and games. The aim is to have fun with children developing at their own pace. Skills that will be taught include dribbling, passing, heading, shooting, co-ordination amongst many others. A world cup tournament is held on the last day of each week. If you’re looking for a great way to keep your children safe, active and in an environment that supports learning and new friendships, then our football camps are an ideal option. Run by LSC, the Football holiday camps in Merseyside, Crewe, Cheshire, Leeds, and throughout Greater Manchester are held in local leisure centre facilities and schools. Led and delivered by highly experienced coaches with particular expertise in coaching children of all ages and abilities. The emphasis is very much on skills development, participation and broader life skills, and no existing level of football ability is required. Children are put into groups based upon age and ability so that they are learning with appropriate peer groups and can feel confident and supported at their level. Above all, there is a real focus on fun and enjoyment, and on making new friendships, in addition to learning new sporting skills. Our football coaching courses are delivered in a structured format that mimics the school day and is broken down into smaller sessions. There is a supervised lunch and regular breaks for refreshments. Children will learn football techniques and skills and will take part in practices, tournaments, games and matches, where the aim is for everyone to have fun and develop at their own pace. Prizes and trophies can be won throughout the week, for achievements that include participation, teamwork and attitude as well as football excellence. 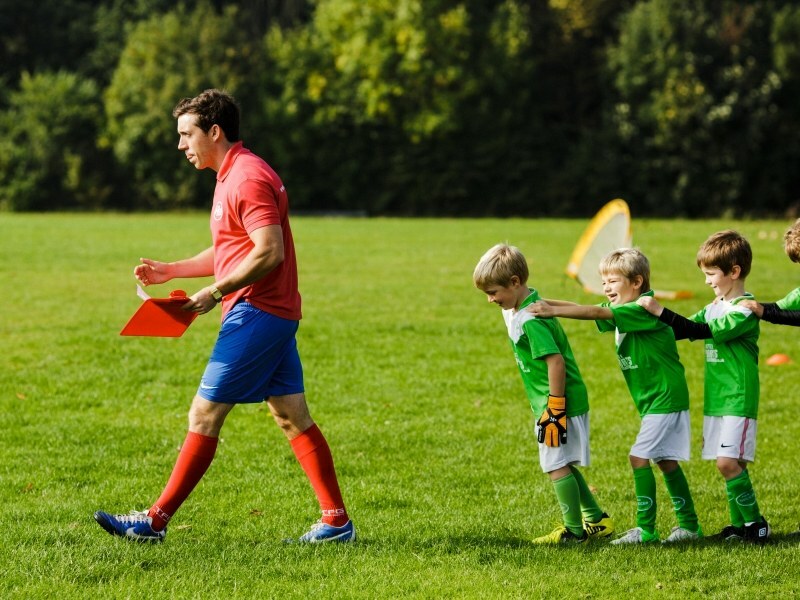 LSC runs a number of children’s school holiday football camps in West Yorkshire, Cheshire, Manchester and Merseyside, in the summer holidays and throughout the year. The courses are suitable for children of ages 4 to 11 years. 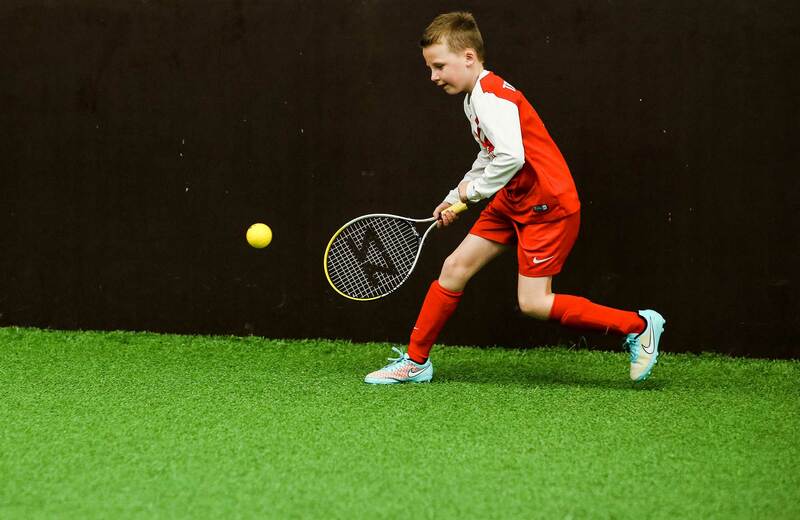 Our Multi-Sports course features many different sports for children to participate in. These include tennis, basketball, football, hockey, dodgeball, cricket gymnastics, tag-rugby, athletics and much more. Each sport is suitable for the age group and features an Olympic games on the last day. If your children are keen to blow off steam during the school holidays and you need to find a good activity for them to enjoy, then choose our multi-sports course. No pressure - the emphasis is on fun! All children are split into groups appropriate to their age and ability. This ensures that they are learning and having fun in a safe, supportive environment with other learners of a similar level. The emphasis is definitely on enjoyment and friendships, and every session is run by highly qualified and experienced coaches who work closely with the children and adapt the sessions to meet their needs. We accept children of all ages and abilities, and we can also accommodate children with special needs. We maintain a high coach-to-child ratio, to ensure that every session is fun, focused and offers your child plenty of individual attention in an environment in which they can thrive. There are different awards up for grabs every week and all equipment is provided. Parents get to see their children showing off their new skills at the end of the day. The children follow a structured programme, according to our specifically designed curriculum. Our day runs in a similar fashion to a school day, with a supervised half hour lunch and two twenty minute snack breaks. We can also offer wrap-around care to help with parents’ working schedules, and our courses are run in local leisure centres for ease of access. In addition to our multi sports course, we offer other courses and summer programmes focusing on football, gymnastics and dance all geared to develop your child. Our Dance & Gymnastics holiday courses feature various sessions including cheerleading, gymnastics and street dance. Our Dance & Gymnastics camps will improve your child’s fitness levels whilst helping them develop strength and agility, co-ordination and balance as well as posture, flexibility and masses of self confidence. Our camps don’t just teach the relevant dance and gymnastics skills. They also help to improve interpersonal skills and encourage expression through the specially developed syllabus. These skills are skills for life and will have a far reaching effect in all areas of your child’s development. School holidays can be tricky for parents with younger children. Many child care options can be difficult to access, and you need your children to stay active! Our days are structured and run like the school day, with different class sessions from the first warm-up, through to skills and knowledge development and mini performances for parents at the end of the day. There is a supervised half hour lunch and two breaks for refreshments. We can offer wrap-around care options too for parents who are juggling work schedules and commutes. We understand the challenges faced by parents during the school holidays as many of us at LSC have families of our own.